Roger Federer came into Thursday night’s quarterfinal against Nikolay Davydenko with the awareness of a potentially dangerous match. Just two weeks ago he was upset in the quarterfinals, but no such pattern would begin here at the Dubai Duty Free Tennis Championships. From the start to finish, the Swiss maestro was the aggressor, hitting the ball much cleaner than in his first two matches. 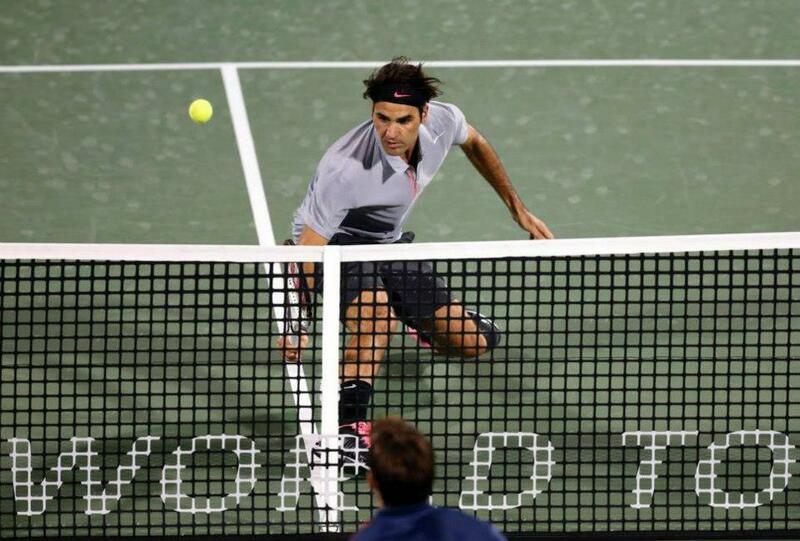 Both sets mirrored each other, with Federer jumping to a 4-1 double break lead before serving out the set, and the match. In just 54 minutes, the Swiss star advanced with a 6-2 6-2 win. His ace count was higher, as was break point conversions. Federer fired 5 aces, 0 double faults, serving at 76%, winning 84% of points on his first serve. While showing poor effort on break points so far this week, the Swiss converted 4/7 opportunities. He will face Tomas Berdych in Friday’s semifinals.